This action can be performed only by the account owner and the account administrator. A) Click on "Settings" icon, which is located at the top right side of the screen. 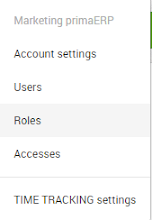 B) Select "Roles" in the sub-menu. 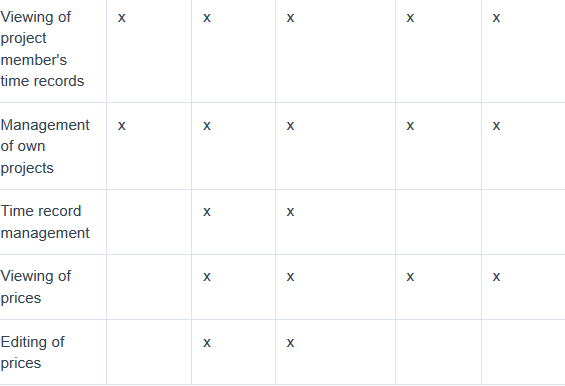 C) There you can find the list of roles. By clicking on a role, you will be able to see the list of competences related to the specific role. B) Select "User" in the sub-menu. C) Select the User you wish to add a role to. D) Click the "Assigned roles" tab. For more detailed information about the competencies one receives with the role(s), just click on the link “Competencies” in the blue box underneath. By clicking here, you will see all the rights the specific user has. 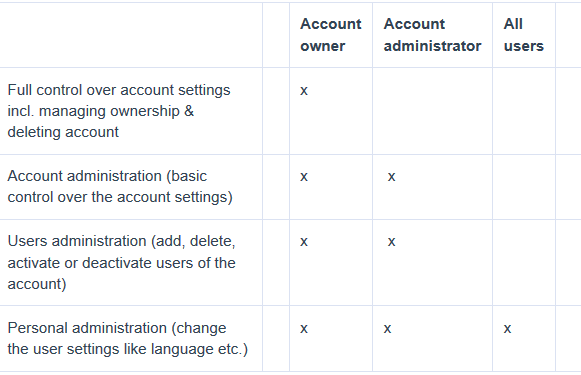 This is an advanced feature which allows only the account owner and administrator to remove the access rights from an account member. A) Click on the "Settings" icon, which is located at the top right side of the screen. C) Select the user you wish to remove a role from. D) Click on the "Assigned roles" tab. E) Uncheck the roles you want to remove. For more detailed information about the competencies the user will lose by removing the role, just click on the link “Competencies” in the blue box underneath. By clicking here, you will see the rights the specific user still has. 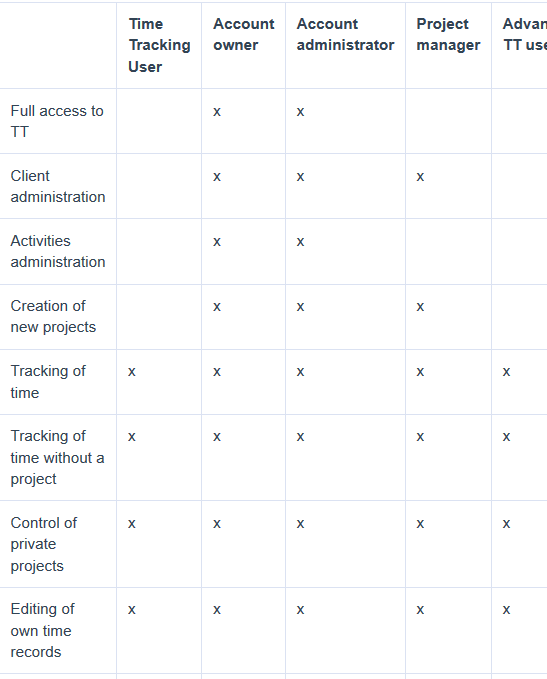 Below you can see the list of the competences related to each role.